“If I were you, I’d run.” CBS has released a new promo for their upcoming series BrainDead. The political dramedy comes from The Good Wife creators Robert and Michelle King. It stars Mary Elizabeth Winstead, Aaron Tviet, and Tony Shalhoub. BrainDead follows Laurel (Winstead), a young Washington D.C. staffer who discovers an unsettling mystery within the political community. The series premieres on June 13th at 10 p.m. ET/PT. What do you think? Are you a fan of The Good Wife? Will you watch BrainDead? I LOVED Brain Dead! Couldn’t wait for it to come on. Couldn’t take my eyes off the screen. Crazy? Yes! I am probably the most massive fan of The Good Wife but then all my friends think they are. I will miss it so much. Haven’t seen Brain Dead but describing it as a dramedy rings of a comedy hitching a ride on a serious drama. The GW had was a drama with a little bit of light heartedness attached. Not sure it will attract as strong a fan base. 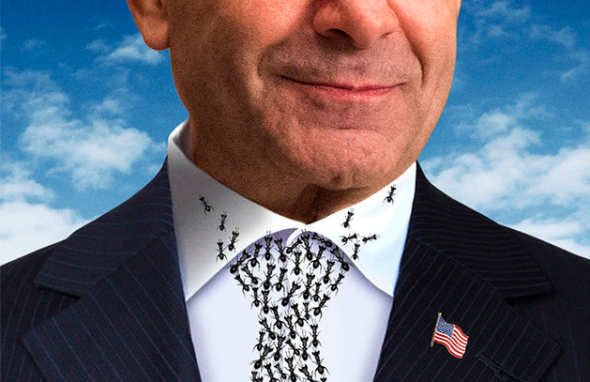 Well, the only actor I recognize is Tony Shaloub. I like him, so I’ll give it a go.